One of the stylish and stunning bags that adds a smart look to your personality and matches well with its sophistication level. 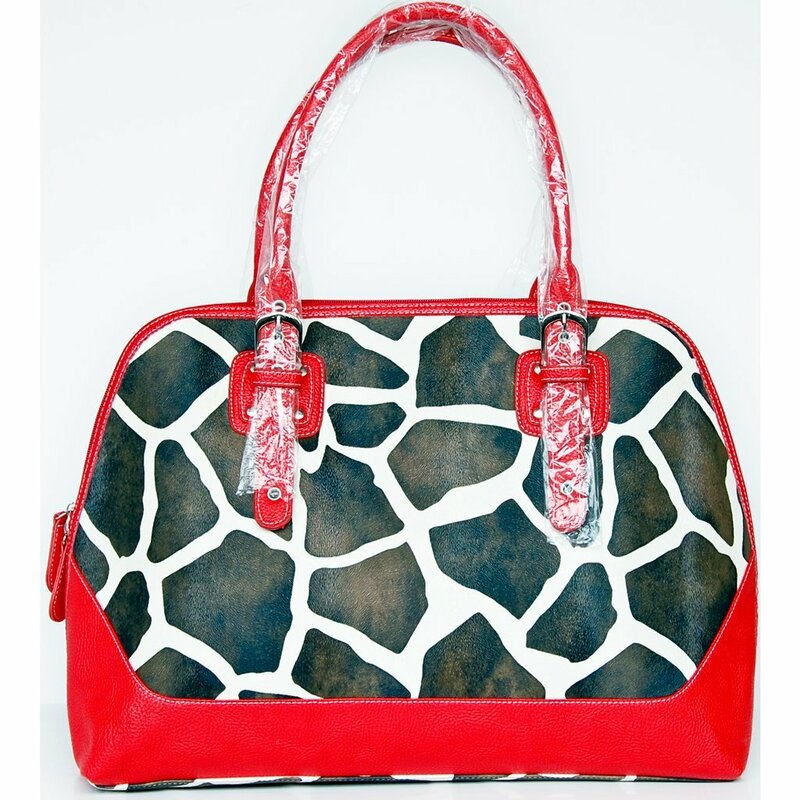 This feminine bag in Giraffe, has flirty and a glossy look which makes you look more pretty. The top of the bag includes a zippered closure that opens to reveal fabric lining. Two open top slip pockets and one zippered pocket provide plenty of space for your smaller items or cell phone. An additional zippered pocket is located along the back side of this unique handbag for easy access items you need close at hand. The flat bottom helps keep your new handbag upright when not on your shoulder. Dual Top Zippered Opening and backside exterior zippered pocket featuring durable, smooth-gliding and easy-to-pull metal zipper. Featuring main center zippered compartment that allows to access separate compartments which are capable of storing all essential accessories like cosmetics, sunglasses, with one wall zippered pocket inside, one slip pocket, one cell phone pouch and 3 pen holder pockets. Silver Tone Hardware – Chrome Side Rings attached on the edge of the handles for sturdiness. Features matching handle & trim.